My children's book: "from Impossible"
This book is about my real-life relationship with my childhood role model, Ron Bouchard. When Ron passed away on December 10, 2015, I didn't know what to do, but I wanted to do something. So, I wrote what I think is a really good children's book about a kid who doesn't believe in himself and he's from a town where nothing seems to change. When he witnesses a race car driver who is also from the same town win a race, he thinks to himself, "If he's from my town and can achieve HUGE goals, maybe I can, too." The rest of the book follows their journey toward their goals and dreams. Enjoy the two videos below and thank you for buying the book! You’ll notice I created two versions. The main character is a boy in one version and a girl in the other to include both genders of readers. For an additional $5, you can personalize it for the child by having me autograph it to him or her specifically. $1 from every book sold will be donated to RB Racing Charity, a nonprofit organization. 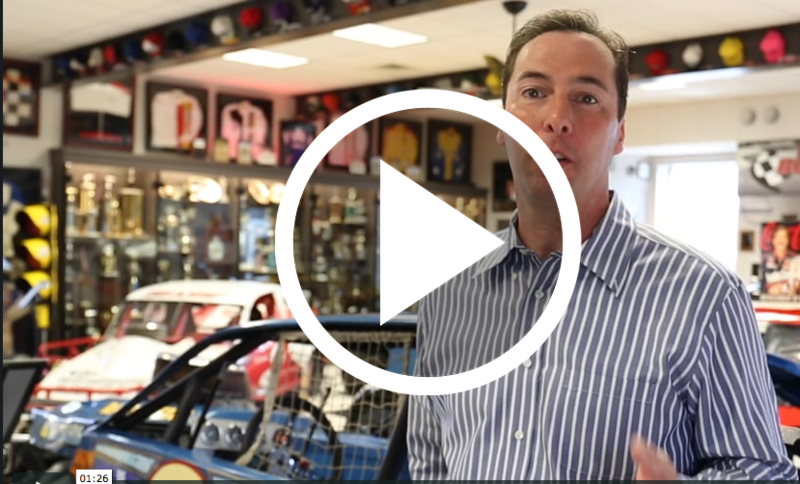 Learn more about RB Racing Charity. Learn more about "from Impossible"